You can qualify for Social Security Disability Insurance (SSDI) for a wide range of medical conditions, but mental disorders can be much more difficult to establish as compared to physical issues. 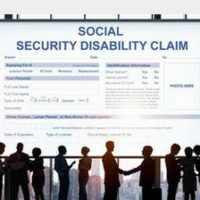 Physical conditions tend to be more obvious and provable by medical records; mental disorders are hard to quantify, especially in the eyes of Social Security Administration (SSA) disability claims examiners. Still, it is possible to make your case before the SSA, and you have a greater chance of success if you retain a skilled SSDI lawyer who has extensive experience in handling these claims. You may also find it helpful to review some general information about mental conditions for purposes of SSDI benefits. Addiction to controlled substances, which requires you to also prove that your substance abuse is related to one of the other above mental disorders. You may also qualify if your drug use is due to neurological or digestive disorders identified in other sections of the Listing of Impairments. Any evidence demonstrating how well you can appropriately and effectively communicate with individuals who may be present in a work environment. For more information on how to apply for SSDI benefits for a mental disorder, please contact Steinhardt, Siskind and Lieberman, LLC to schedule a free consultation with one of our attorneys. We serve clients throughout Maryland from our offices in Glen Burnie, Owings Mills, Ellicott City, and Annapolis.